ConferenceSeries Ltd is a renowned organization that organizes highly notable pharmaceutical conferences throughout the globe. ConferenceSeries Ltd invites all the participants across the globe to attend the "3rd World Congress on Medicinal Plants and Natural Products Research" Medicinal Plants 2017 conveys recent discoveries and developments in Natural Products drugs discovery and development. A complete knowledge of a scientific discipline that described and explores the use of medicinal plants in industry as well as healthcare. The significance of Medicinal Plants in human life is significant. Plants and natural products are essential for us. Food, energy, medicine and so many things we are able to get from plants. This conference seek to bring all such scientist, Noble Laureate, researcher, research scholar, students and people together who are involved in this field and provide them to discuss about their innovation, exchange ideas and interaction with each other. The target audience will be Plant Biologist, Herbalists, Researchers In the field of Medicinal plants, Microbiologist, plant physiologist, Business Entrepreneurs, Training Institutes, agriculturalist, plant pathologist, Agriculture and Plant Associations and Societies, Plant Molecular and cell biologist researcher or scientist who are researching in natural products. Meet Your Target Market With members from around the world focused on learning about Plant Science, Herbal Sciences, Herbal Technology, Naturopathic Medicine, Natural Products Research this is your single best opportunity to reach the largest assemblage of participants from the all Over the World. Conduct demonstrations, distribute information, meet with current, make a splash with a new product line, and receive name recognition at this 2-day event. 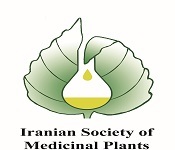 World-renowned speakers, the most recent techniques, tactics, and the newest updates in Medicinal plants natural products research are hallmarks of this conference. ConferenceSeries Ltd organizes a conference series of 3000+ Global Events inclusive of 600+ Conferences every year across USA, Europe & Asia with support from 1000 more scientific societies and publishes 700+ Open access journals which contain over 70000 eminent personalities, reputed scientists as editorial board members. Medicinal plants 2017 provides the importance of medicinal plants in drug development either pharmacopoeial, non- pharmacopoeial or synthetic drugs. A part from that, these plants play a critical role in the development of human cultures around the whole world. Moreover, some plants are considered as important source of nutrition and as a result of that they are recommended for their therapeutic values. Some of these plants include ginger, green tea, walnuts, aloe, pepper and turmeric etc. Some plants and their derivatives are considered as important source for active ingredients which are used in aspirin and toothpaste etc. Apart from the medicinal uses, herbs are also used in natural dye, pest control, food, perfume, tea and so on. In many countries different kinds of medicinal plants/ herbs are used to keep ants, flies, mice and flee away from homes and offices. Now a days medicinal herbs are important sources for pharmaceutical manufacturing. Medicinal plants are open, reasonable and socially proper wellsprings of essential medicinal services for more than 80% of Asia's populace (WHO). Poor and minimized, who can't bear the cost of or get to formal social insurance frameworks, are particularly subject to these socially recognizable, actually straightforward, fiscally moderate and for the most part powerful customary drugs. Thus, there is far reaching enthusiasm for elevating customary wellbeing frameworks to meet essential human service’s needs. This is particularly valid in South Asia, as costs of cutting edge medications winding and governments discover it progressively hard to meet the cost of pharmaceutical-based social insurance. Restorative and Aromatic plants shape a numerically vast gathering of monetarily critical plants which give essential crude materials to medications, aromas, flavours and beautifying agents. These plants and their items not just serve as important wellspring of salary for little holders and business visionaries additionally help the nation to procure profitable remote trade by method for fare. Restorative plants are those plants which are rich in auxiliary - metabolites and circular segment potential wellspring of medications. These optional metabolites incorporate alkaloids, glycosides, coumarone, flavonoids, and steroids and so on. Plants, particularly utilized as a part of Ayurveda can give naturally dynamic atoms and lead structures for the improvement of altered subordinates with upgraded movement and/or decreased harmfulness. The little portion of blooming plants that have so far been researched have yielded around 120 restorative operators of known structure from around 90 types of plants. A portion of the helpful plant drugs incorporate vinblastine, vincristine, Taxol, podophyllotoxin, camptothecin, digitoxigenin, gitoxigenin, digoxigenin, tubocurarine, morphine, codeine, headache medicine, atropine, pilocarpine, capsaicin, allice, curcumin, artemisinin and ephedrine among others. Now and again, the unrefined concentrate of restorative plants might be utilized as medicaments. Then again, the separation and recognizable proof of the dynamic standards and clarification of the system of activity of a medication is of fundamental significance. Thus, works in both blends of conventional pharmaceutical and single dynamic mixes are critical. Where the dynamic atom can't be integrated monetarily, the item should be acquired from the development of plant material. The capability of higher plants as hotspot for new medications is still to a great extent unexplored. Among the assessed 250,000-500,000 plant species, just a little rate has been researched phytochemicals and the division submitted to organic or pharmacological screening is considerably littler. In this way, any phytochemical examination of a given plant will uncover just an extremely contract range of its constituents. Verifiably pharmacological screening of mixes of normal or engineered starting point has been the wellspring of incalculable restorative operator. Plants have a long history of utilization in the treatment of disease. Hartwell, in his audit of plants utilized against disease, records more than 3000 plant species that have apparently been utilized as a part of the treatment of tumour. It is noteworthy that more than 60% of at present utilized anticancer operators are inferred as a part of one Way or another from common sources, including plants, marine living beings and miniaturized scale life forms. Sweet-smelling plants are an uncommon sort of plants utilized for their fragrance and flavour. A significant number of them are likewise utilized for restorative purposes. Sweet-smelling plants are from a numerically vast gathering of monetarily imperative plants. 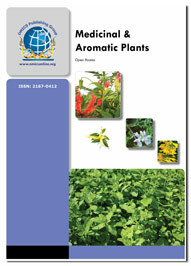 Fragrant mixes are available in plants i.e. in root, wood, bark, foliage, blossom, organic product, and seed and so on. Restorative framework depends vigorously on a couple of writings that are respected as articulations of all the essential standards inside the convention. The two prevailing writings are the Charka Samhita (officially depicted) and the Suzutan Samhita, The Suzutan, however it contains an assorted qualities of data, is for the most part known as a content on surgery. The Charka, by difference, is depended upon as the essential hotspot for data about fundamental Ayurveda hypothesis and about natural prescription. In this way, it is the cited source book for essentially any exchange of Indian herbs. Custom considerable lot of the pharmaceuticals as of now accessible to doctors have a long history of utilization as home grown cures, including opium, ibuprofen, digitalis, and quinine. As per the World Health Organization, roughly 25% of present day drugs utilized as a part of the United States have been gotten from plants. No less than 7,000 restorative mixes in the cutting edge pharmacopeia are gotten from plants. Among the 120 dynamic mixes at present confined from the higher plants and generally utilized as a part of advanced medication today, 80% demonstrate a positive relationship be tween’s their cutting edge restorative utilize and the army utilization of the plants from which they are inferred. Home grown medicine is utilized inside a comprehensive philosophical system, treating the entire individual, instead of simply the illness or one a player in Herbal Medicine the body. For the most part, the regular item is removed from the source, then thought, fractionated and cleansed, yielding basically a solitary organically dynamic compound (Koehn and Carter, 2005). Despite everything it is standard practice for researchers to explore restorative plants just to locate the single compound substance in charge of the helpful impact as our way of life is getting techno-shrewd, we are moving far from nature. While we can't escape from nature since we are a piece of nature. What nature has put away in for us we have not yet completely investigated? The pharmacognosy has played an important role in the development of various departments of the science. Pharmacognosy gives a sound knowledge of the vegetable drugs under botany and animal drugs under zoology. It also includes plant taxonomy, plant breeding, plant pathology, and plant genetics and by this knowledge one can improve the cultivation methods for both medicinal and aromatic plants. Pharmacognosy is basic being developed of various orders of Inquire about requirements for most customary things are at the exploratory end of the imaginative work continuum. At this period of research, NCCIH has wide excitement for focus the common activities of consistent things; consolidating contemplates in preclinical models for a wide arrangement of potential clinical signs The restorative usage of ordinary things—disturbs that are gotten from trademark sources, for instance, plants, animals or littler scale living creatures. A pharmacognosy professional ought to have a sound learning of the terms used to portray the vegetable and creature sedates as secured under natural science and zoology, individually. A significant number of the pharmaceuticals as of now accessible to doctors have a long history of utilization as natural cures, including opium, ibuprofen, digitalis, and quinine. As indicated by the World Health Organization, around 25% of present day drugs utilized as a part of the United States have been gotten from plants. No less than 7,000 therapeutic mixes in the advanced pharmacopeia are gotten from plants. Among the 120 active compounds currently isolated from the higher plants and widely used in modern medicine today, 80% show a positive correlation between their modern therapeutic use and the traditional use of the plants from which they are derived. Medicinal Plants 2017 provides the importance of medicinal plants in drug development pharmacopoeial, non- pharmacopoeial or synthetic drugs. A part from that, these plants play a critical role in the development of human cultures around the whole world. Medicinal & Aromatic Plants are botanical raw materials, also known as herbal drugs that are primarily used for therapeutic, aromatic and culinary purposes as components of cosmetics, medicinal products, health foods and other natural health products. Medicinal plants and extracts are increasingly important export products for many developing countries. ITC’s Market Insider reports on medicinal plants and extracts address the lack of readily available market information on the international trade of Medicinal Plants produced and exported by developing countries and LDCs. The conference mainly focuses on outstanding lectures featuring research and researchers that explore the therapeutic potential of natural products through the development of chemical and biological technologies. The lectures are meant to highlight unpublished research and stimulate discussion. Complementary informal research presentations will occur through the use of poster sessions. The Conference on medicinal Plants and Natural Products also provides significant opportunity for professional and social interactions between conference attendees. 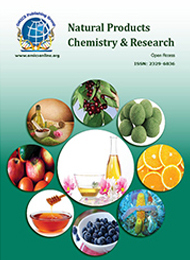 The aim of this international conference is to further witness the development of these fields and technologies; and also to be a platform for Medicinal and natural science, herbal technology and Medicinal plants and natural products researchers, academician and herbal practitioner to interact and forms an ultimate collaboration for the enhancement of herbal research in the world. The conference also offers an opportunity to strengthen existing collaborations for gaining tangible research outputs in short and long time frame. 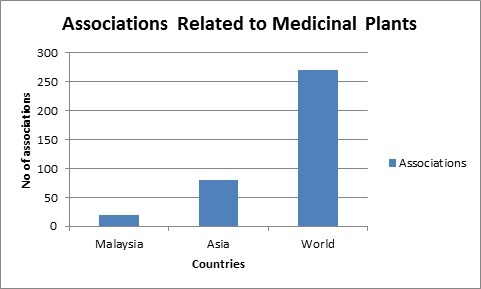 Asia and the Pacific region is very rich in its diversity of Medicinal and Aromatic Plants (MAP). Any threat to these valuable resources will not only jeopardize the health of millions of people in the region, but will also affect the livelihoods of resource poor farmers and communities that depend on them. Therefore, more focus should be placed on research, development and marketing of medicinal and aromatic plants by countries in Asia and the Pacific. It is well known that over 80 per cent of the world’s population depend largely on traditional medicines derived from plants for their healthcare. The Malaysian Government has acknowledged the herbal industry as one of the promising industry in the future. 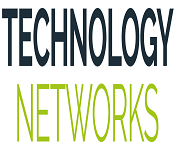 This industry is also very much interrelated with the development of agriculture, pharmaceuticals, life science, health care and food industry. Even the Third Agriculture Policy has identified the herbal industry as a new source of wealth for Malaysia. Under the 9th Malaysia Plan, the Government is focused on developing the herbal product as a new segment targeted to spearhead the economic growth in the country. Malaysia has a rich variety of underexploited plant species and about 1,200 of them have been known to have medicinal properties. Demand for medicinal plants is expected to continue to expand rapidly, fueled by the growth of sales of herbal supplements and remedies. Their basic uses in medicine will continue in the future, as a source of therapeutic agents, and as raw material base for the extraction of semi-synthetic chemical compound such as cosmetics, perfumes and food industries. 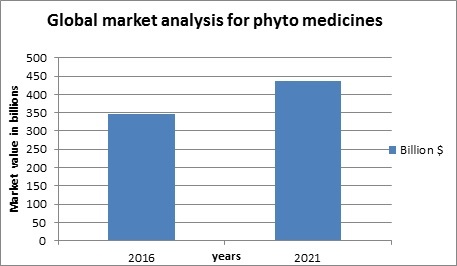 The global Phytomedicine technology market will grow from $346 million in 2016 to $436 million by 2021, with a compound annual growth rate (CAGR) of 4.7% for the period of 2016-2021. Modern Pharmacopoeia contains about 25 per cent plant drugs. China has made very good progress in utilizing herbal wealth by promoting its use in the developed world. In China, the annual herbal production is worth US$ 48 billion, with export of about US$ 3.6 billion. 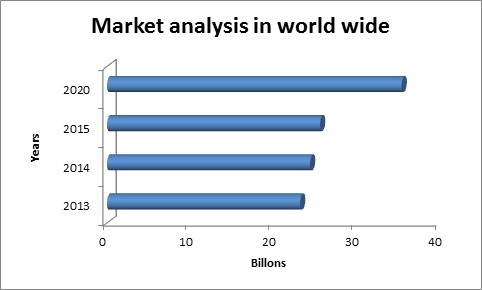 Global market for all categories of herbal products estimated at US$ 62 billion. The global market for botanical and plant-derived drugs was valued at $23.2 billion in 2013 and $24.4 billion in 2014. 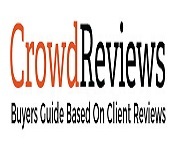 This total market is expected to reach $25.6 billion in 2015 and nearly $35.4 billion in 2020, with a compound annual growth rate (CAGR) of 6.6% from 2015 to 2020. The Academy Medical Sciences Fund makes the Academy Van Leer sum Grants available to promising young researchers in neurology, radiology and pharmacology (including research into medicinal plants). Researchers at a Dutch institute can apply for a grant to cover a research project abroad or a working visit to a foreign institution. NIH-sponsored training program is a result of a long history of natural products research in the Department of Medicinal Chemistry and Pharmacognosy. The Department has been home to the UIC/NIH Centre for Botanical Dietary Supplements Research since 1999.